€10 A Bargain for a great Wednesday Evening. Special offer 2 for 1 for First Timers and Old Timers introducing friends to our family. St Anthony's Church was originally a former church and has all the accoustic celebration and grandeur that comes with worship. Set on the banks of the Liffey River and amongst a parade of several restaurants why not make your Ceroc night a closer to a perfect dinner date. Doors Open at 7:15pm. First timers come early to pick up your membership and registration. Dress Comfortably. Dance shoes recommended. Wooden Floors. No Partner Necessary. No Dance experience Necessary. Two Left Footers Welcome We will make it RIGHT! Join us on any week!! 1. Coming from the city centre or the Alfie Byrne Road towards Sutton / Howth, take a left on to St. Lawrence Road, and take the first left down a small laneway to the church and St. Anthony’s House. There is a sign for St. Anthony’s Church on St Lawrence Road at this junction. 2. Coming from the Sutton / Howth direction towards the city, take a right on to St. Lawrence Road, and take the first left down a small laneway to the church and St. Anthony’s House. There is a sign for St. Anthony’s Church on St Lawrence Road at this junction. 3. 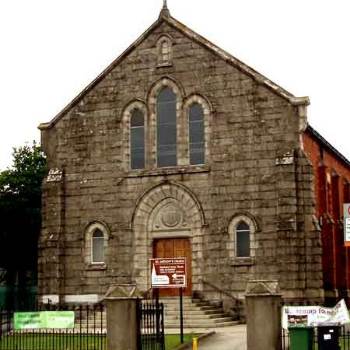 Coming from the Howth Road / Collins Avenue / M50 direction, drive down St. Lawrence Road, and as you near the seafront, see the sign for St. Anthony’s Church, and take a right down a small laneway to the church and St. Anthony’s House. There is no motor entrance to St. Anthony’s Church or St. Anthony’s House from the main Clontarf Road, only a pedestrian entrance.